How much does _____ cost? Please see the services page. Many services have a “starting at” price because it’s often difficult to assess the repair without seeing the instrument in person. I just put these strings on. Can you use them for the setup? They’re not that old. I use brand new strings for all setups. Using new strings eliminates any issues that old strings can cause. I can’t guarantee my work using old strings. I realize bass strings can be rather expensive so I return used bass strings with your instrument. Are you looking for help/an apprentice/an intern? I don’t have enough work to warrant an employee or assistant of any kind. However, I’m happy to share knowledge and will answer as many questions as I can. 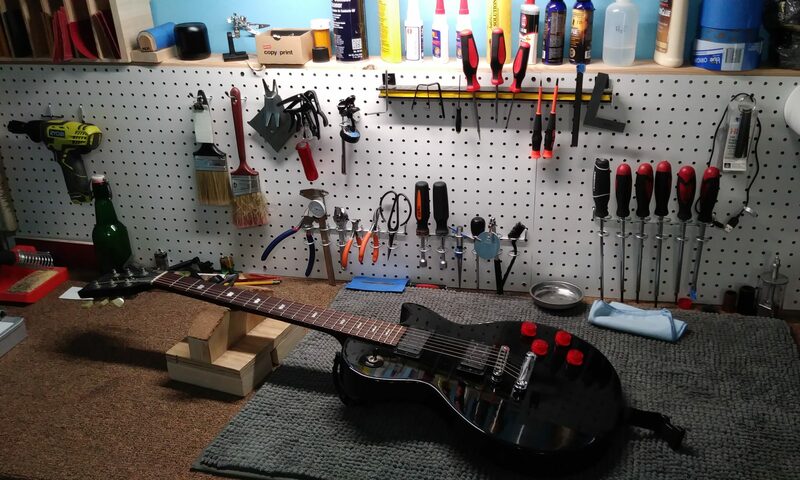 Please bring your instrument, a case for storage (hardshell is preferred if you have one), any parts you want installed, and a package or two of your desired strings. If you are unsure what parts or strings you should have, please contact me beforehand. I’m happy to make recommendations. I also have some strings on-hand for purchase with your repair. I do not. I prefer cash, but will accept Venmo and PayPal. Payment is due when you pick up your instrument.